Song began his journey with SPUT in high school as a coach at our Harding site. There he fell in love with the program (and with tennis) and went on to play tennis at Gustavus Adolphus College in Saint Peter, MN. He would come back each summer to take to the courts of Saint Paul and bring on the next generation of SPUT players. Thao said of his own coaching experience: “I learned that I needed to demonstrate the values I was teaching the kids in the program. Kids are incredibly honest and when you don’t do what you ask kids to do, they’ll call you out,” he said. “Teaching SPUT values every summer made me think more about how I’m demonstrating them in my own life, especially how I conducted myself around others.” In the years after college, Song worked at InnerCity Tennis (a tennis non-profit in Minneapolis) and, later, Hmong American Partnership. His experience in tennis and non-profit development are exciting additions to SPUT’s leadership. Laura joined the SPUT team in December of 2015 after managing student services, programs, events and marketing communications at the diverse Minneapolis Community and Technical College. A Des Moines, Iowa native, she played tennis for Hoover High School and attended the University of Iowa—a proud Hawkeye. 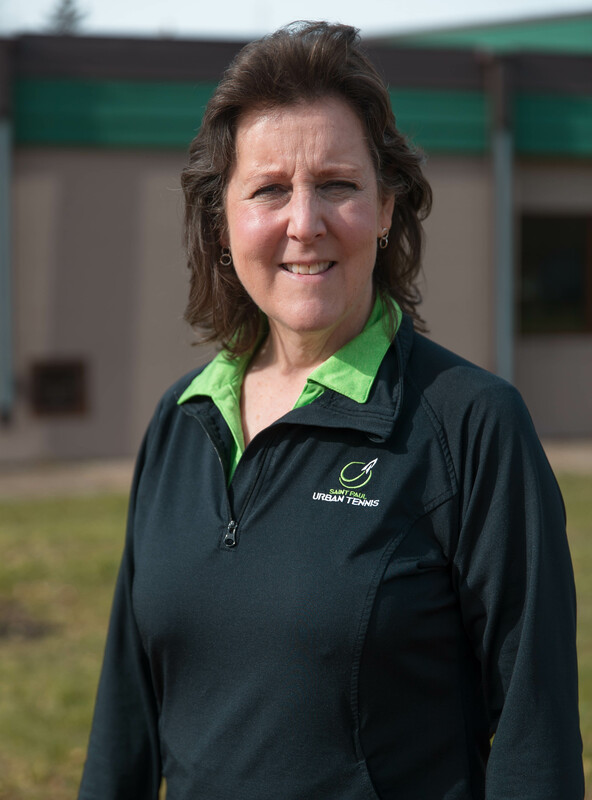 She spent her early summers teaching tennis to youth and adults and managing a city park site for the Des Moines Tennis Association. She also taught youth tennis for the University of Iowa’s Upward Bound Program and played on a USTA Women’s Team Tennis team for several years in Cedar Falls/Waterloo, Iowa. Before moving to Minnesota, Laura promoted the achievements of K-12 students at Bryn Mawr School in Baltimore, Maryland as Director of Public Affairs. Laura lives with husband, Bill, and son, Andrew, in Burnsville. 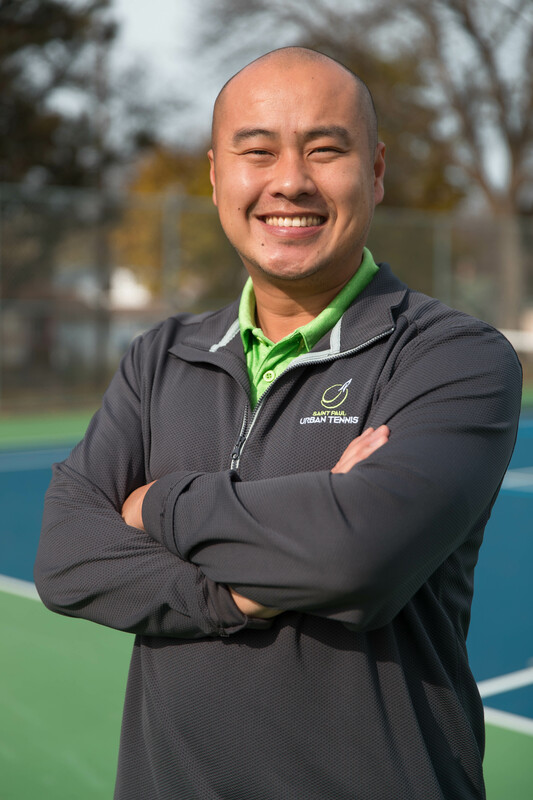 Brandon Kuether is a Program Manager at Saint Paul Urban Tennis, where he focuses on Player and Coach Development. He is graduating in 2018 from Hamline University with a degree in Sociology and Elementary Education. His tennis journey began when he fell in love with the sport in middle school and continued to progress as he achieved the title of captain of his high school team at Columbia Heights High School as well as his collegiate team at Hamline University. Brandon first joined the SPUT team back in the summer of 2014 when he received the Rookie Coach of the Year award and has since had his role in the organization increase as a Programming Intern, Youth Competition Coordinator, and now Program Manager. Brandon lists his ultimate goal as giving back to the sport and community that have given him absolute joy. 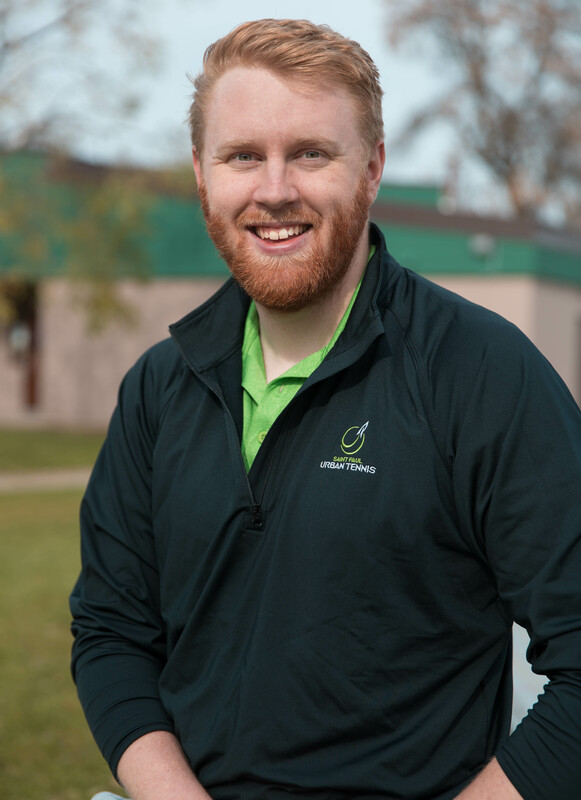 Josh comes into St. Paul Urban Tennis from a background in teaching, having taught in St. Paul for 3 years and studied Social Studies Education at Gustavus Adolphus College in St. Peter, MN. Since discovering tennis at age 13, Josh has been enamored with the sport. Having attended Tennis and Life Camps in high school, he learned the strong connection tennis has with important life skills. He would go on to state in doubles, become president of the club tennis team at Gustavus, and a tennis instructor at Tennis and Life Camps. 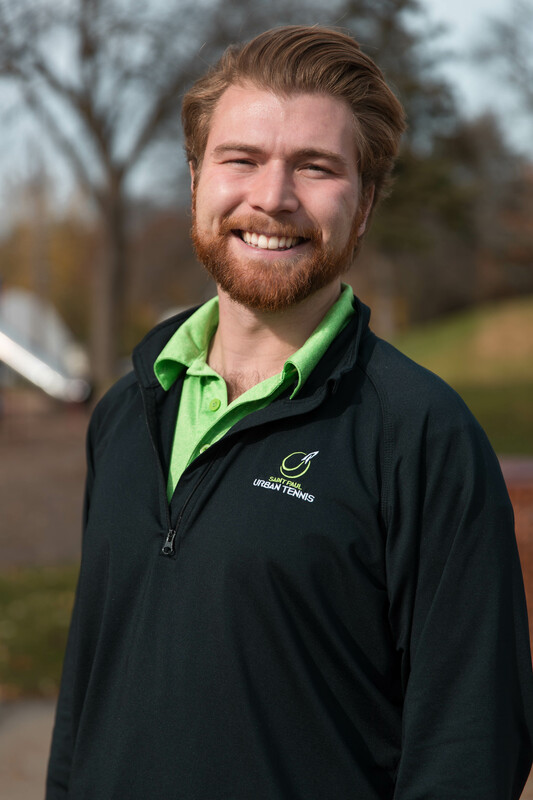 Josh joined SPUT as a head coach in 2015 and fell in love with the values of SPUT SPIRIT as well as using tennis as a venue to positively impact people’s lives. Since then has continued to grow his role in the organization as operations coordinator and now program manager of outreach and education. Josh is excited to bring together his experience in education, love of tennis, and commitment to the St. Paul community. 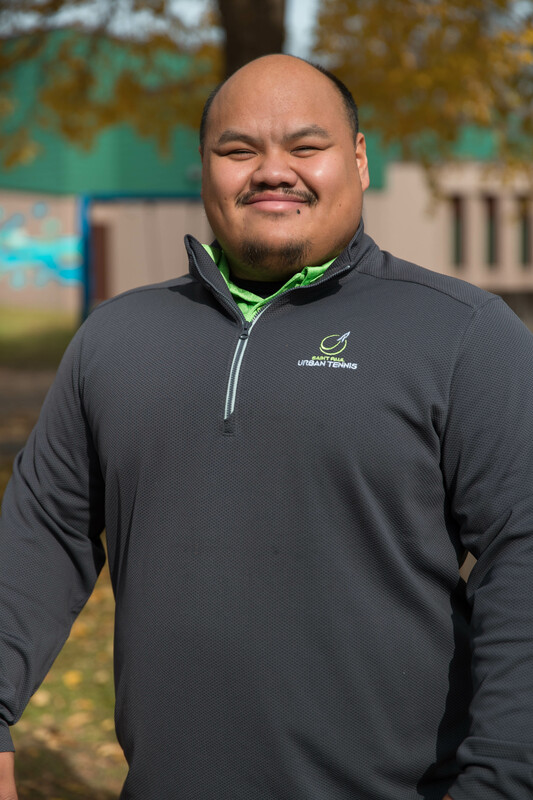 Johnny joined SPUT in June of 2018 after gaining extensive experience with youth-development non-profits across the Twin Cities. A graduate of Bethel University, where he studied Exercise Science, he has since spent time at InnerCity Tennis, Fred Wells Tennis and Education, and the Sannah Foundation leading their youth programs. SPUT is excited for Johnny’s passion for youth development, health and wellbeing, and giving back to the community. Saint Paul Urban Tennis is excited to announce the creation of the 2017-2018 Youth Council! The council is made up of one representative from each Saint Paul Public School, and two representatives from Non-Saint Paul Public Schools. The purpose of this group is to directly engage the youth of our community in the process of planning in order to have our program better serve the kids. Program Manager Brandon Kuether describes the first meeting as "a truly amazing experience. There is nothing more incredible than seeing passionate young minds at work. It brings me a lot of joy seeing the commitment to community that this young group shares." We are still looking for a representative from Humboldt High School. Please email Brandon@urbantennis.org if you are interested! Below is the list of representatives. To get ahold of the SPUT Youth Council, please email them at YouthCouncil@urbantennis.org.